I’m in the mood for blogging today, so I am going to write up about 4 posts for you and spread them out through the week, so YAY for productivity! So, when it comes to Autumn I like to switch out what makeup I use as firstly, it’s an excuse to use different makeup, and also I feel a tad more experimental in Autumn, this is one of the many reasons I love Autumn the most! Anyway, lets move on.. I like using rose-gold blushes in Autumn as again, it gives a nice flush to the cheeks which makes you look really healthy. 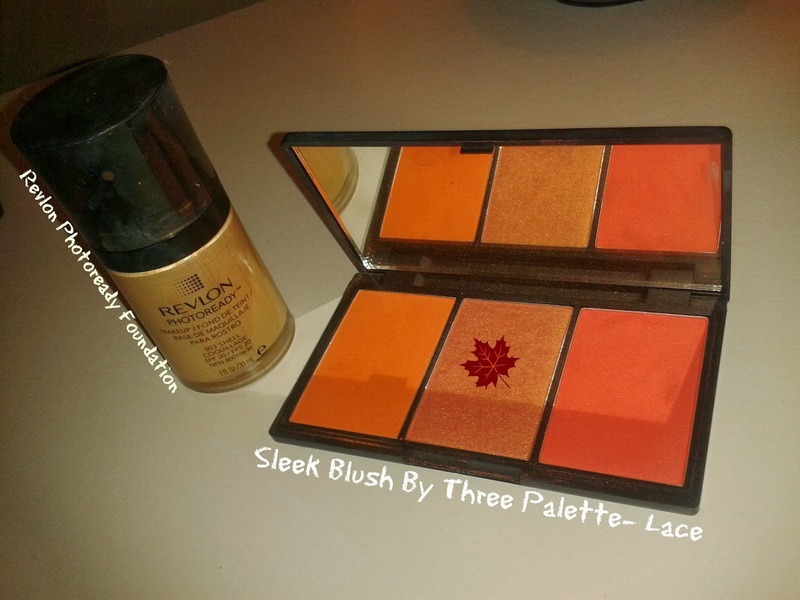 The Sleek Blush By Three Palette in Lace has really gorgeous colours! They might look a little scary in the pan, but if you use them lightly, you can always build up if you feel you need it! I have put a little leaf (how autumnal!) 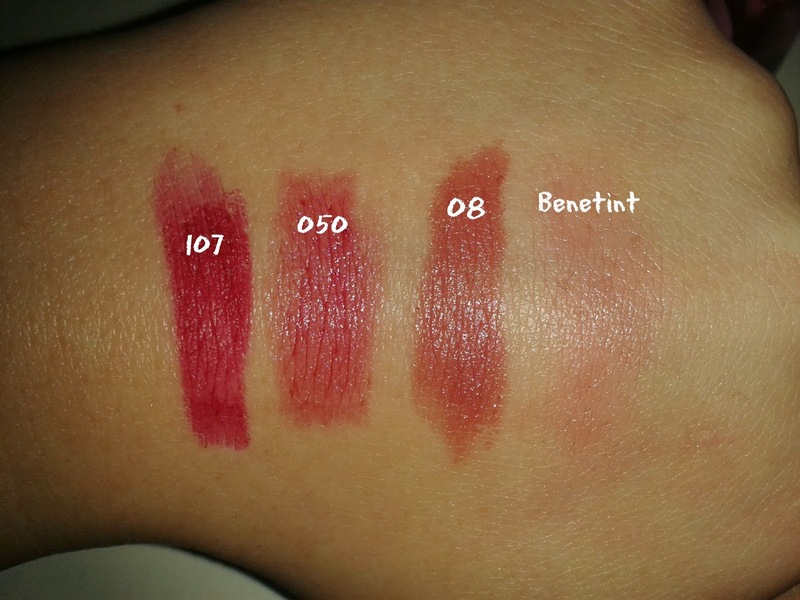 on the middle shade, as it is the one I grab for the most! In Autumn, it’s good to use some darker colours, it’s fun to experiment and if you don’t really feel that confident, then experiment at home! See what looks good on you. Eyeshadow wise, I like using the Maybelline 24 Hr Colour Tattoo in On and On Bronze either as a base if i’m going for something more dramatic, or on its own if I want it to look more natural. MAC Haute & Naughty Too Black Lash mascara is a really great one for this season, as it is extremely pigmented, and this works well when you are using more dramatic colours. 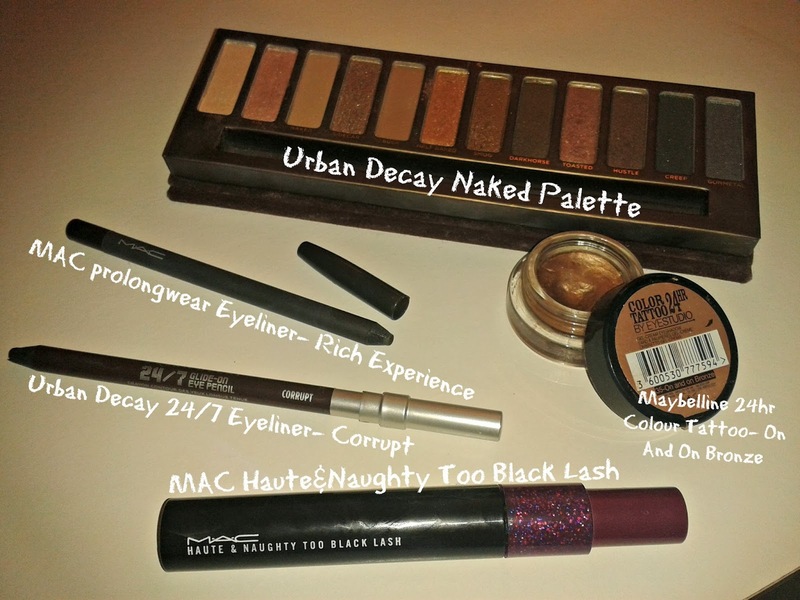 I love Urban Decay Naked Palette all year round, but in the picture below, I’ve highlighted some shades that I think look great in Autumn. Sidecar, Smog and Toasted are all beautiful shades, and they all also work very well with the colour tattoo that I mentioned earlier. I love lining my upper lash line with a dark brown eyeliner, and these two are the ones I reach for most. 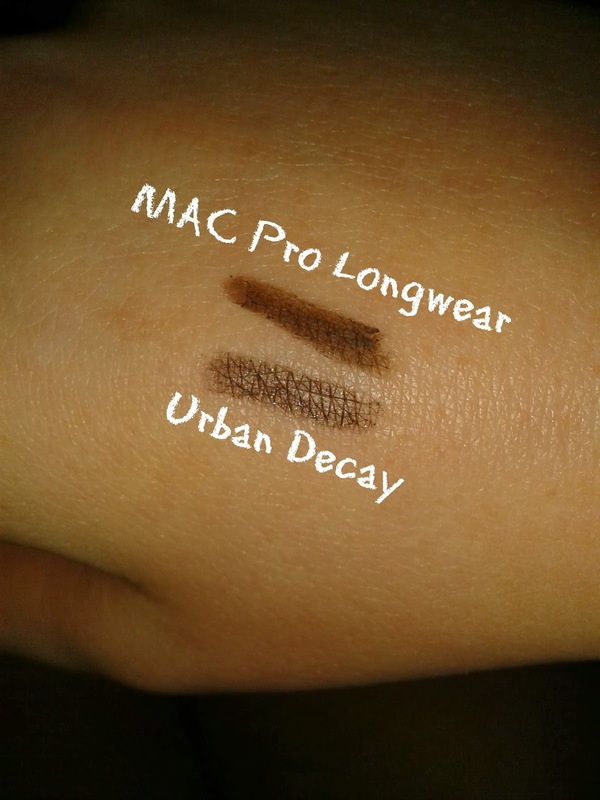 The top swatch is MAC Pro Longwear Eyeliner in Rich Experience, which is a very dark chocolatey brown colour, which I think would work well with a lot of eye colours. The bottom swatch is Urban Decay 24/7 Glide On Eyeliner in Corrupt which is a brown with flecks of subtle glitter in. Both of these have amazing staying power, so If lining your upper lash line ‘aint your thang (random outburst of slang, I don’t even know.) , they would stay put on the waterline as well! Lipstick is a very personal preference kind of thing, but I have picked out some shades which I think everyone could try, or maybe get some ideas. Rimmel Kate Moss Lipstick in 107 is a very deep, dark berry/wine colour. It has a matte finish and amazing pigmentation. If you are looking for a good ‘night out’ lipstick, this could be for you. If you are feeling particularly daring you could wear this in the daytime too! Next up, is Revlon Colorstay Ultimate Suede Lipstick in 050 Couture. This is not as pigmented, but you can build up its coverage fairly well. I would say this has a matte finish as well which personally, I really like for the colder months. It is more of a red toned berry colour. Again, this would be great for a night out, as it lasts for ages on the lips, but if you apply just one coat of this, you could easily wear this in the day time. 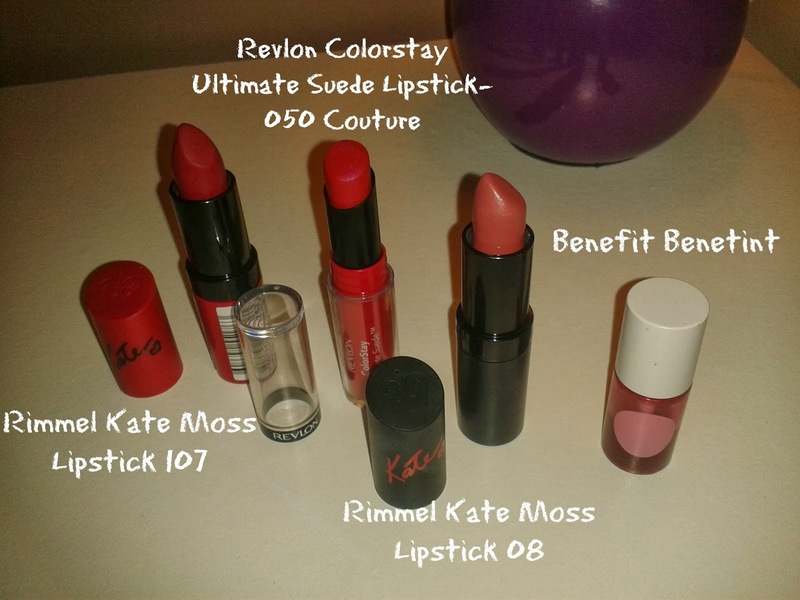 Rimmel Kate Moss Lipstick in 08, is another great Autumn shade, and it’s easier to wear than the previous two. It doesn’t have a matte finish but it isn’t overly shiny. The colour is a dusky pink/rose colour and this is very wearable. For me this kind of my ‘your lips but better’ shade, and its the one I find myself reaching for the most. Benefit Benetint, is a really beautiful shade. It leaves your lips looking stained, almost as if you have just eaten a red berry, which I think looks really beautiful. This is so easy to wear, and you can tone it down, or add more coats of this to make your lips really pop! So, there are some ways that you can switch up your makeup bag this Autumn. If you have any of these products, then let me know what you think of them, and if you don’t then are there any you want to try? 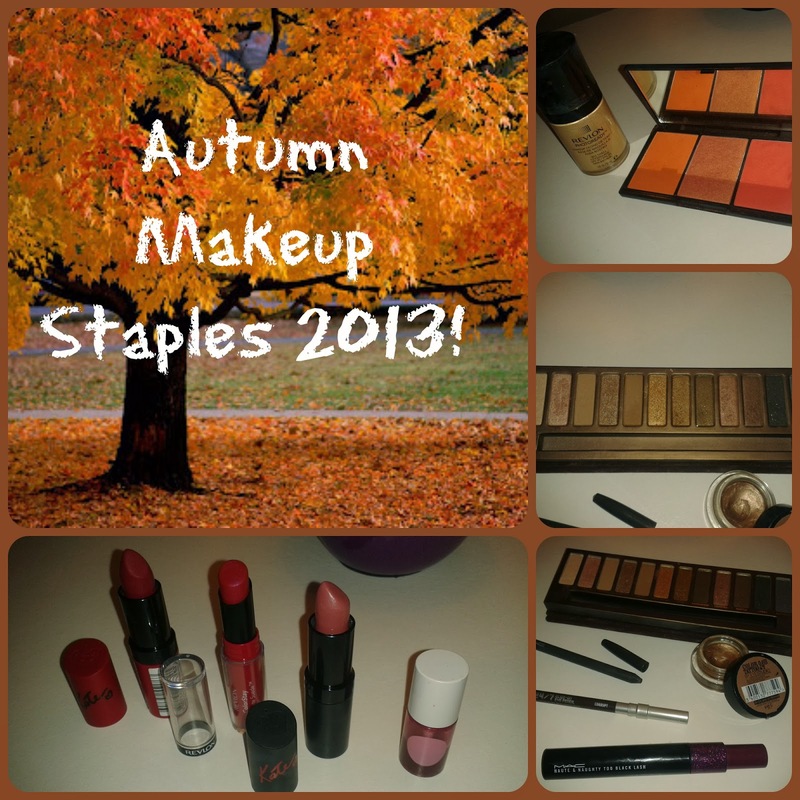 What Are Your Autumn Makeup Staples?